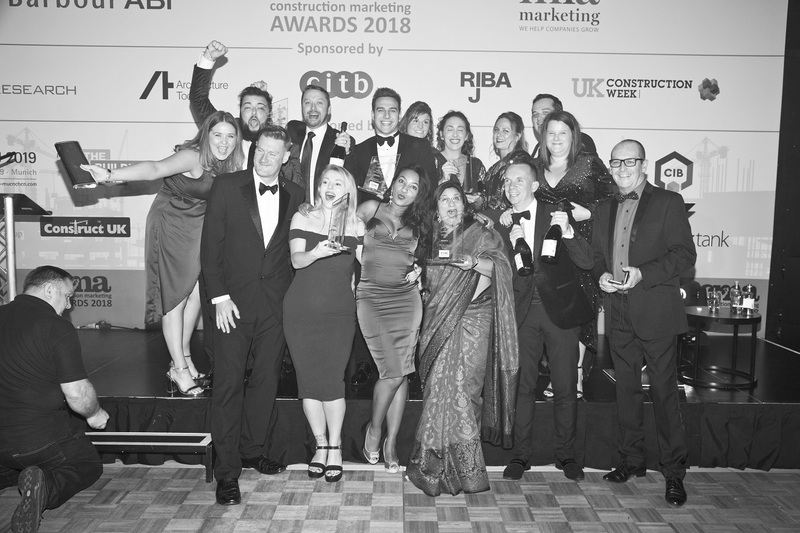 Key Dates for the 2019 Construction Marketing Awards Announced! The Construction Marketing Awards showcase the construction industry’s effectiveness in marketing, raising the profile of marketing professionals and their achievements. Just think of what you could gain by entering! Entries are invited from any organisation within the Built Environment, including architects, engineers, specialist consultants, contractors, developers, manufacturers, specialist suppliers and service providers. • Check over your entry again! End of October – shortlist announced! If you are lucky enough to be listed on the shortlist then make time to place your finalist logo on all your communications! Then book your place at the Gala Awards Dinner. Dust off your glad rags and get ready to party! This a great night!! And of course the winners for 2019 will be announced, good luck. 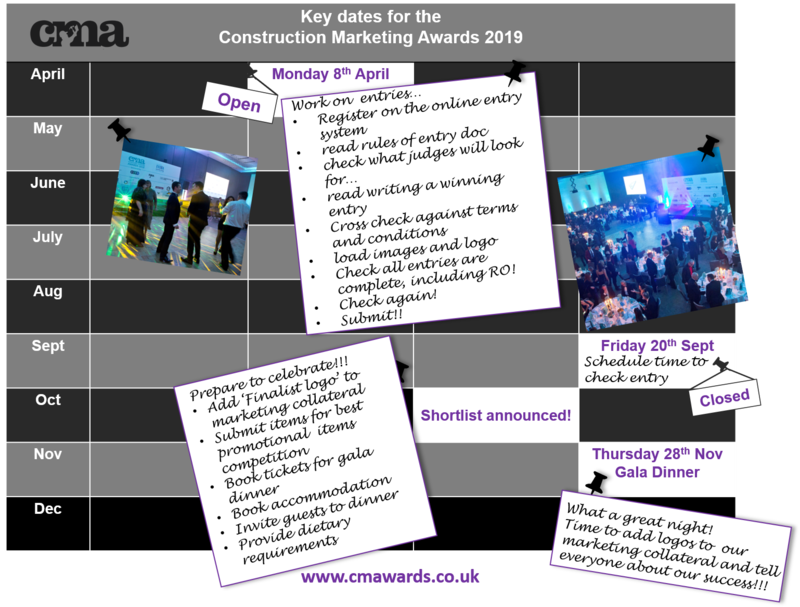 Place these key dates in your diary and start compiling the information you need for your Construction Marketing Awards entry now! What are the benefits of entering the CMAs?